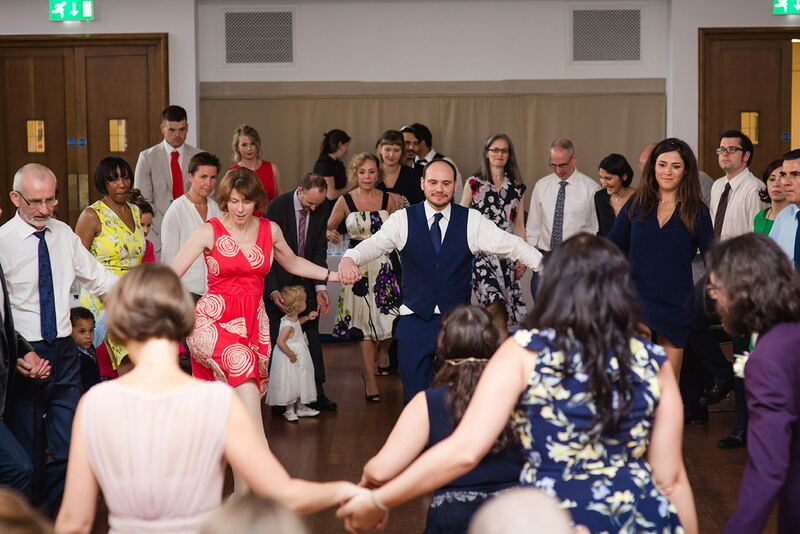 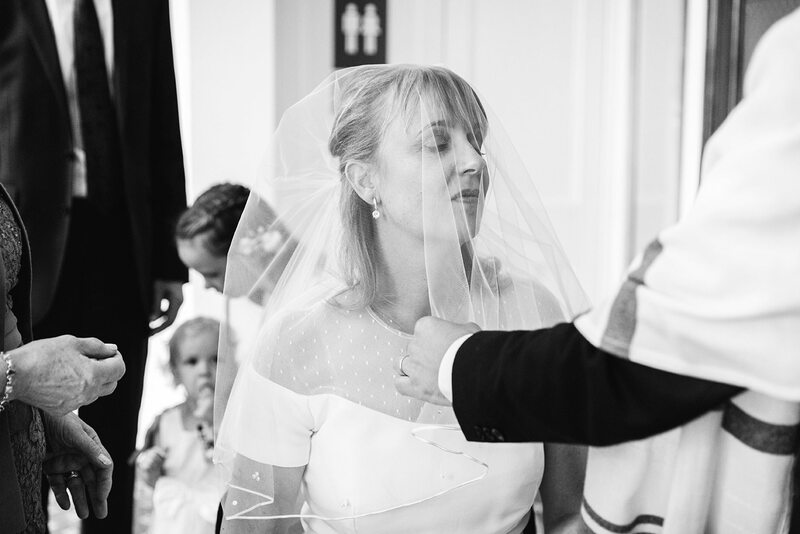 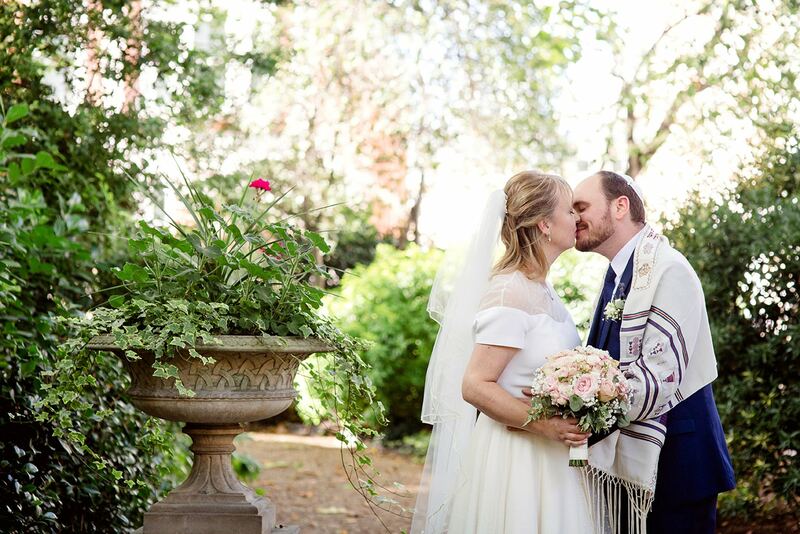 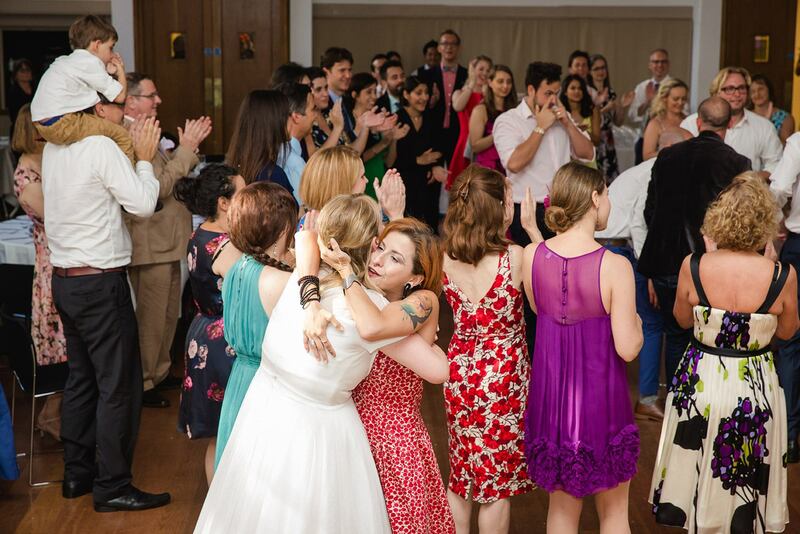 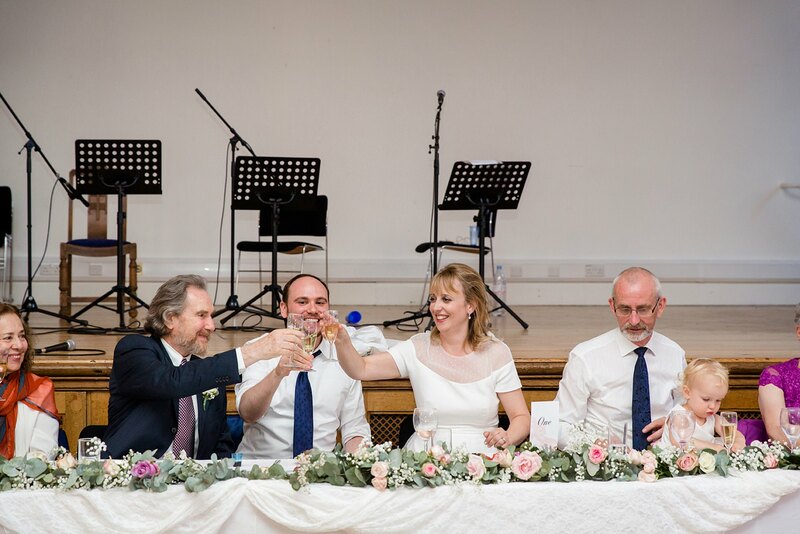 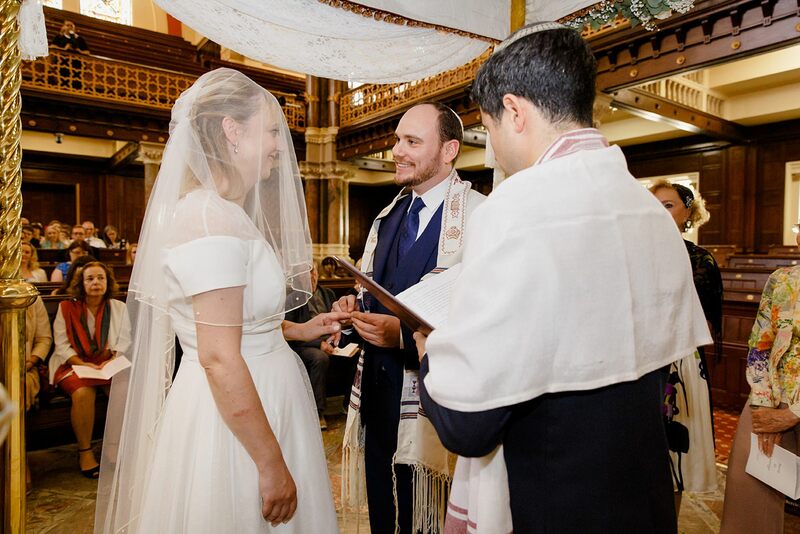 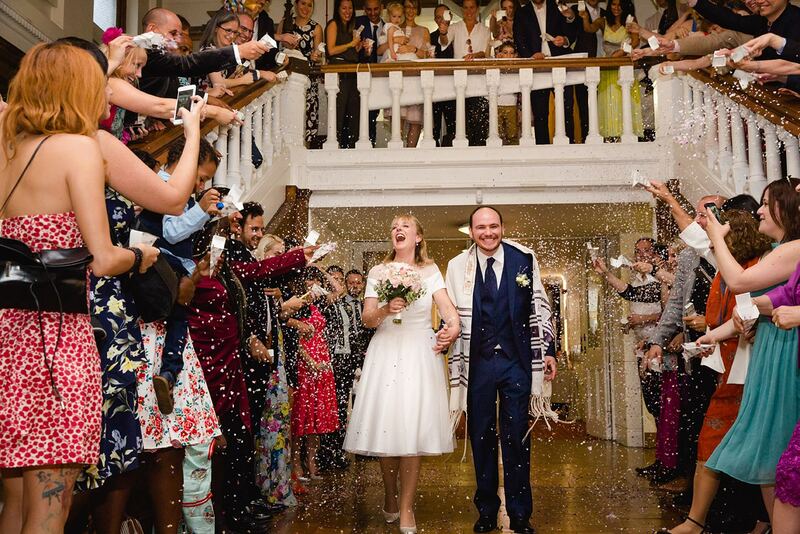 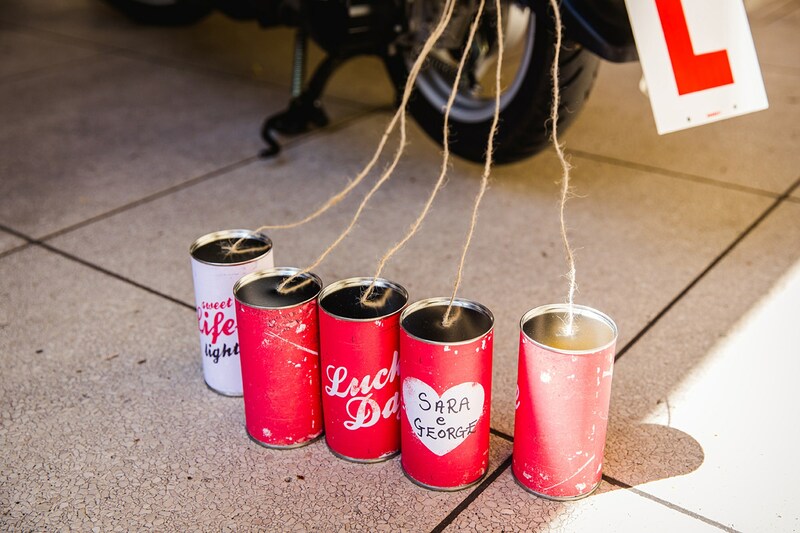 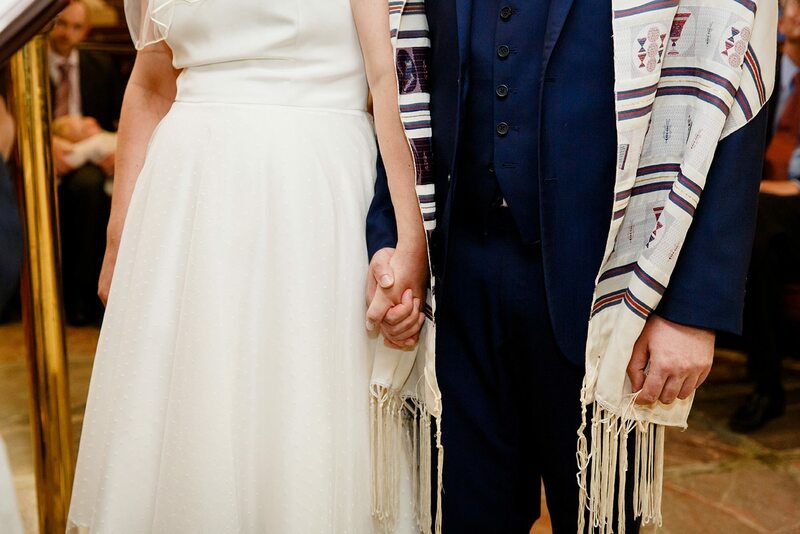 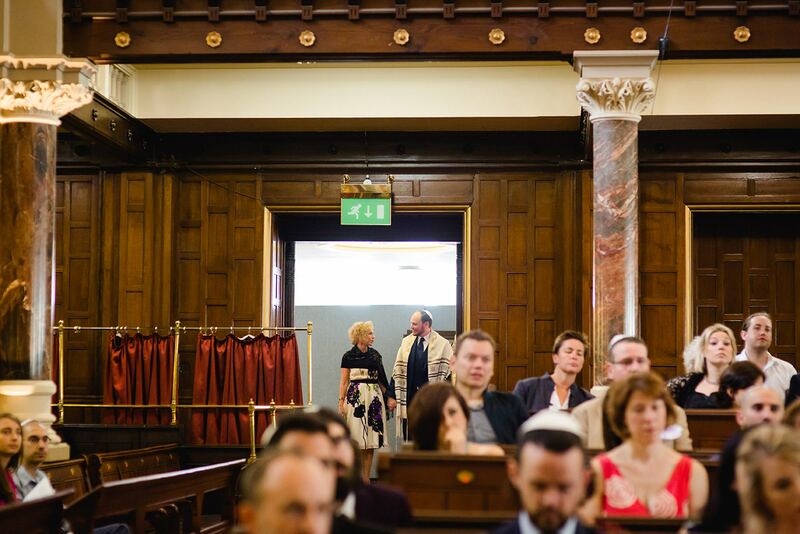 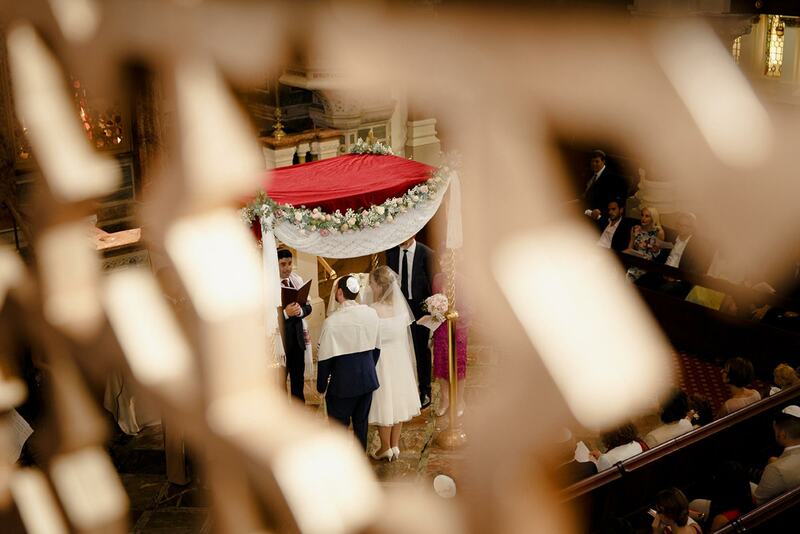 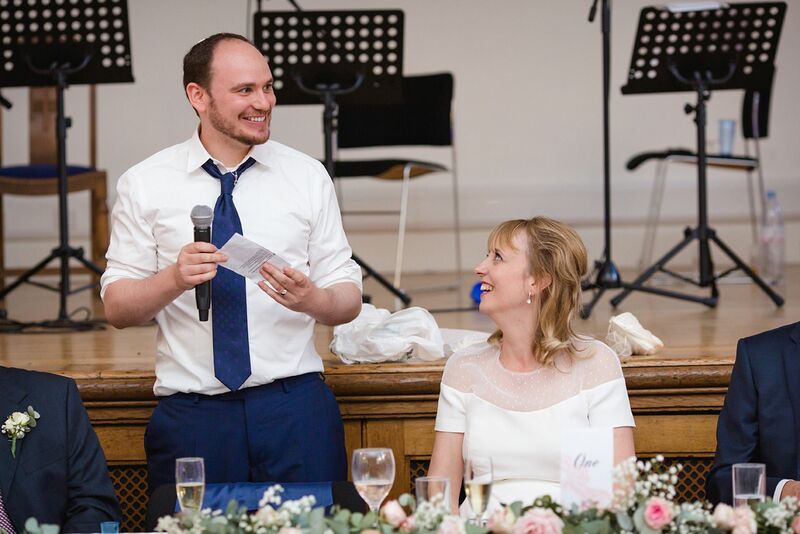 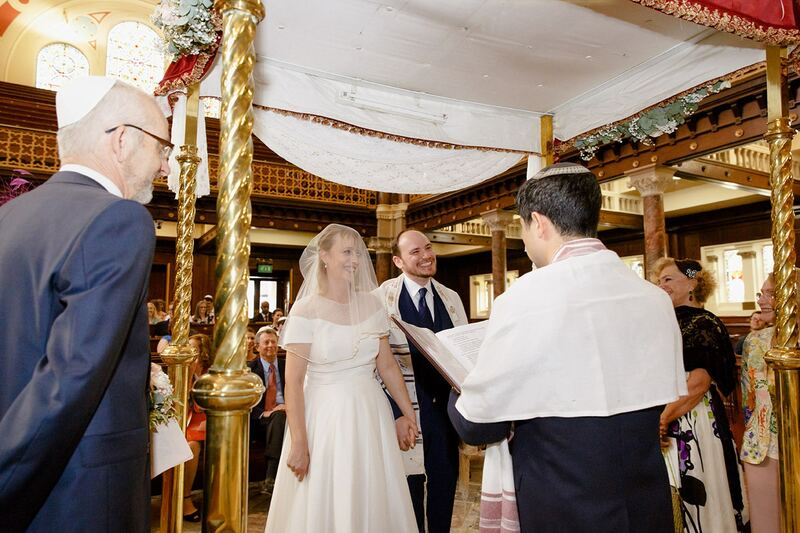 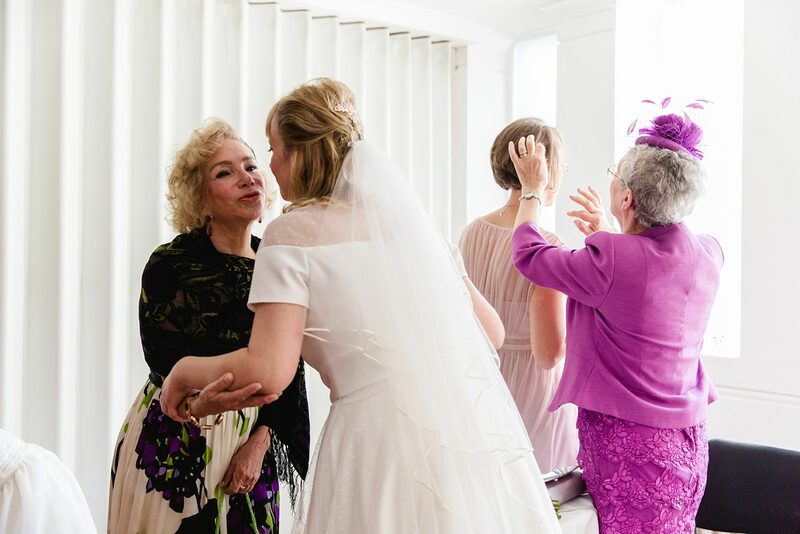 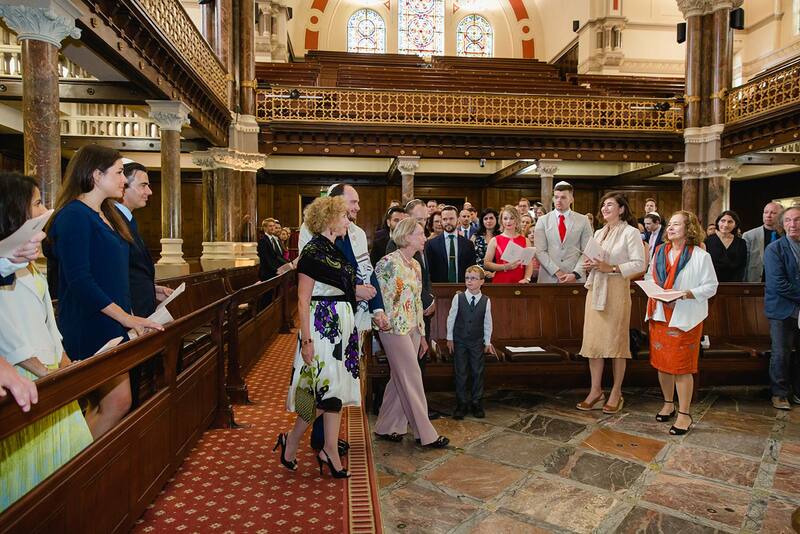 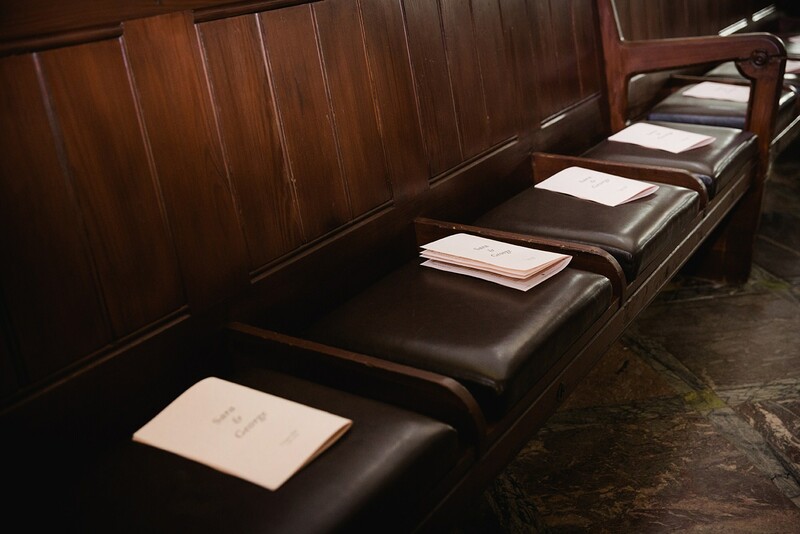 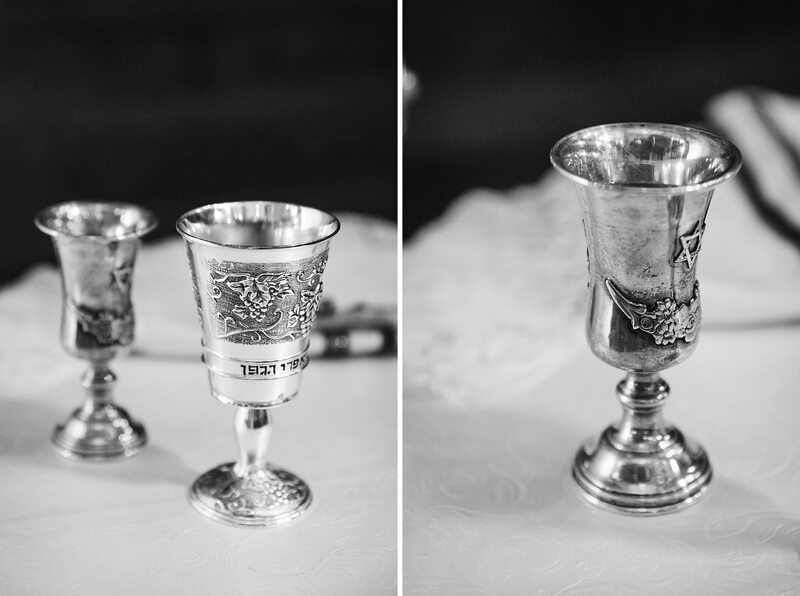 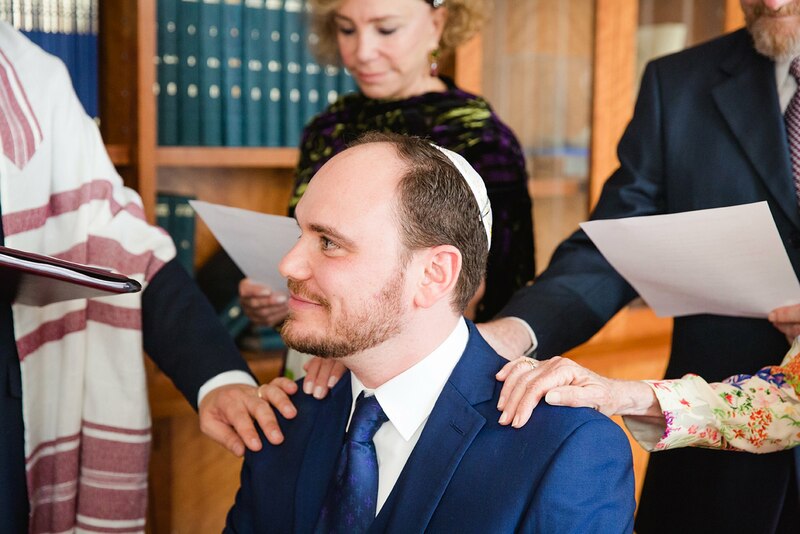 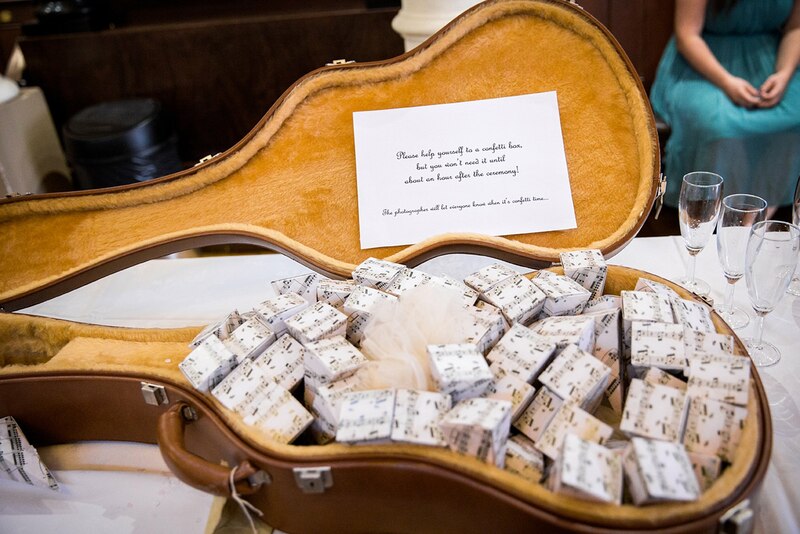 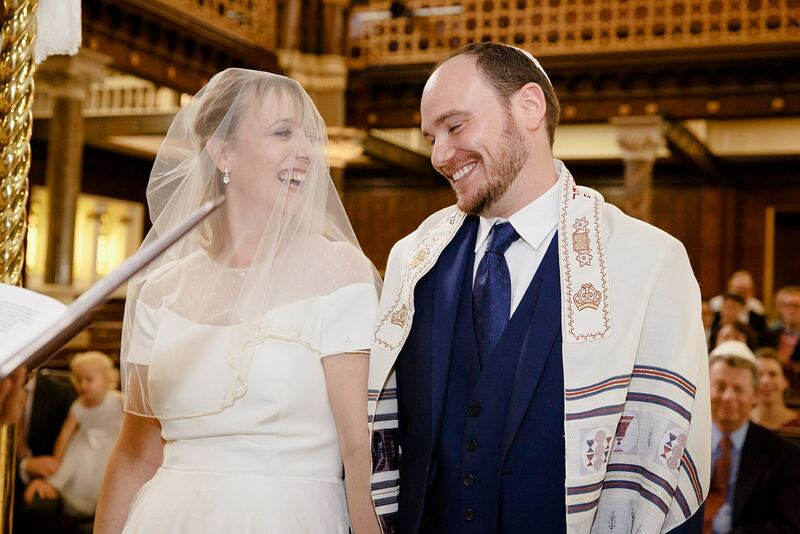 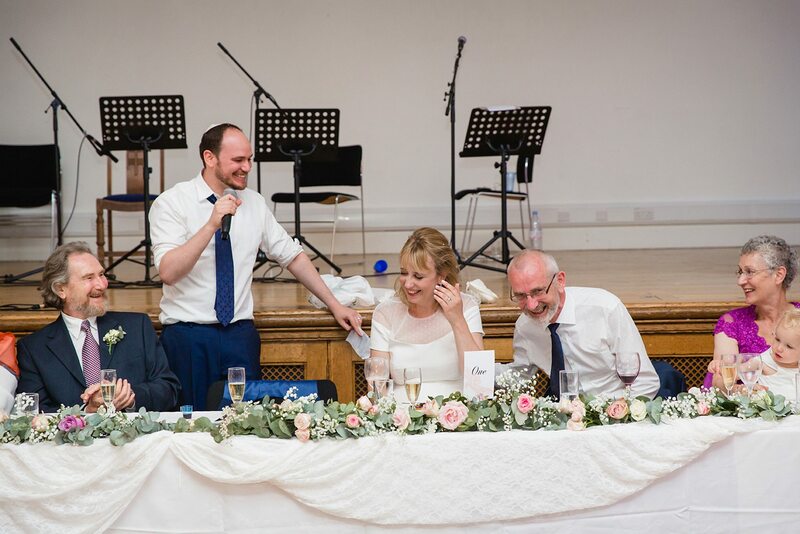 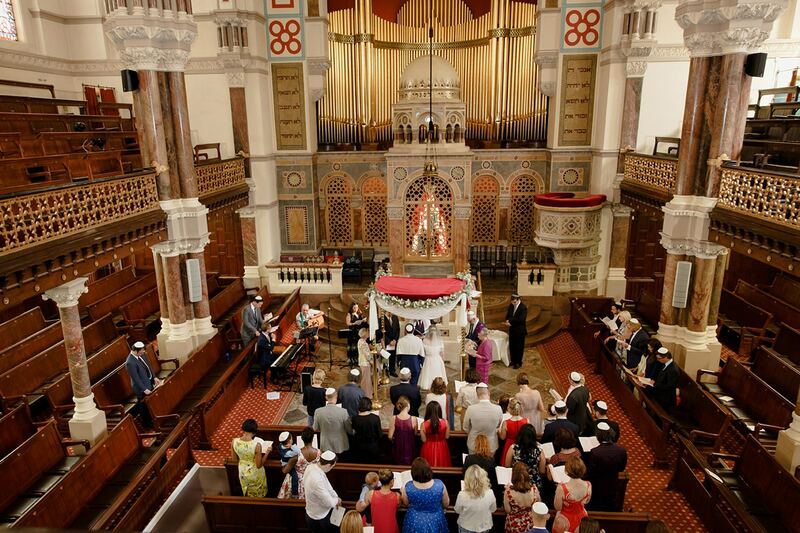 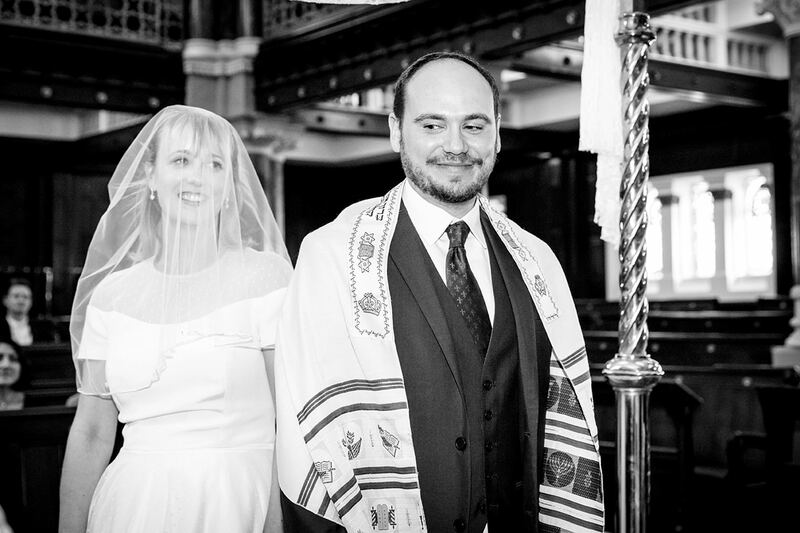 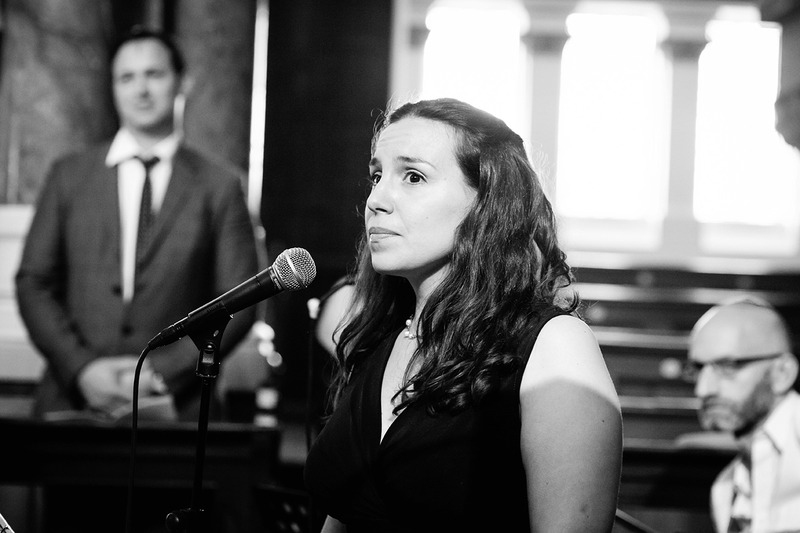 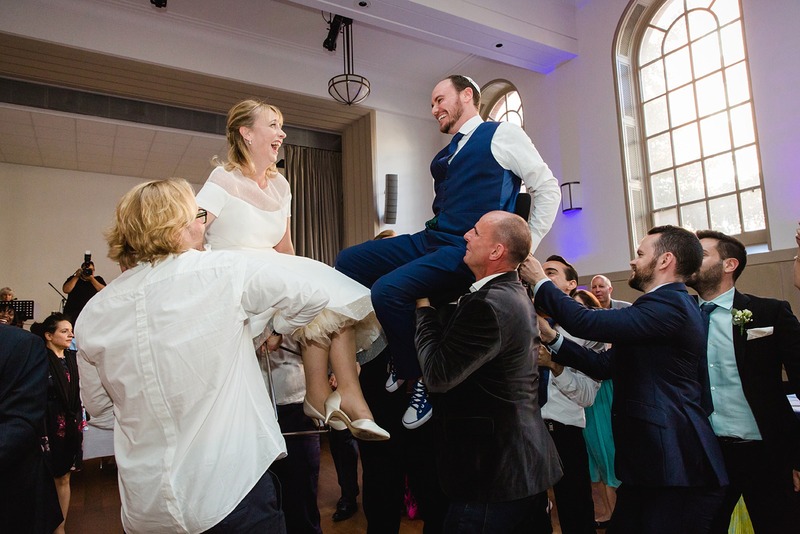 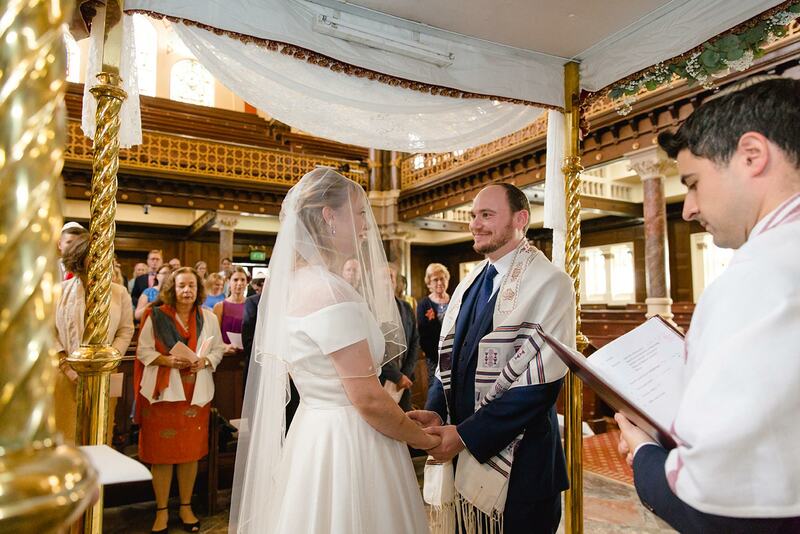 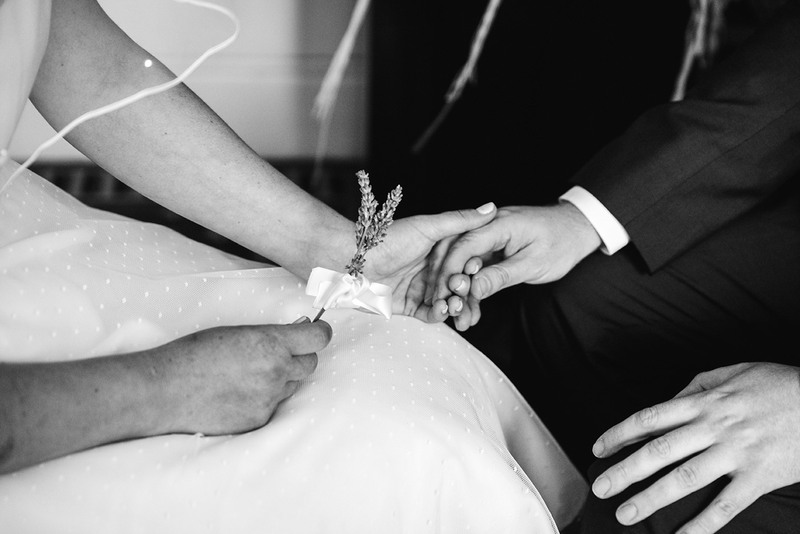 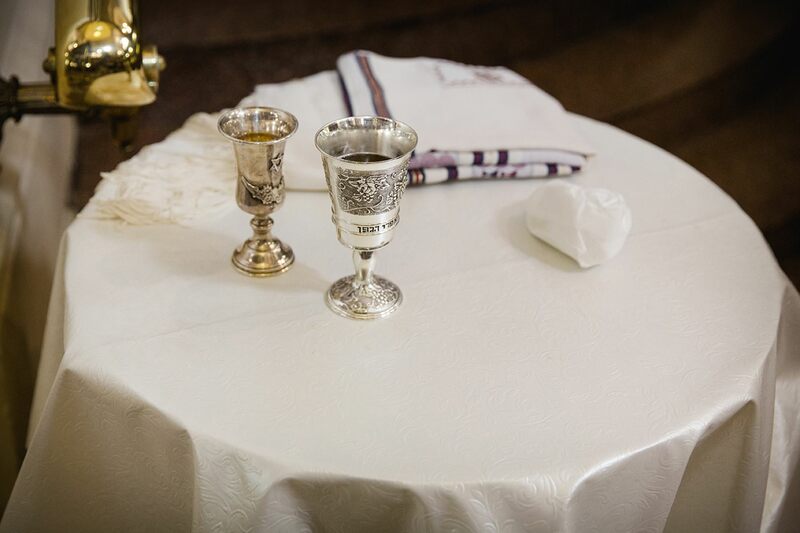 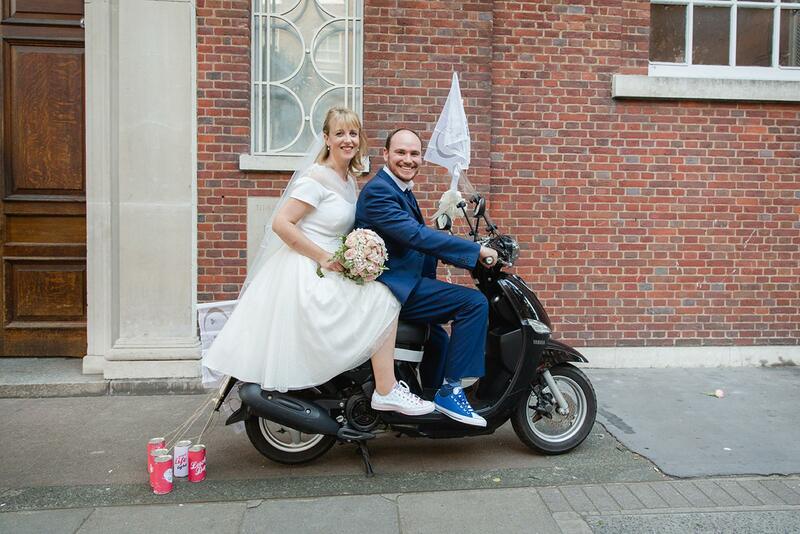 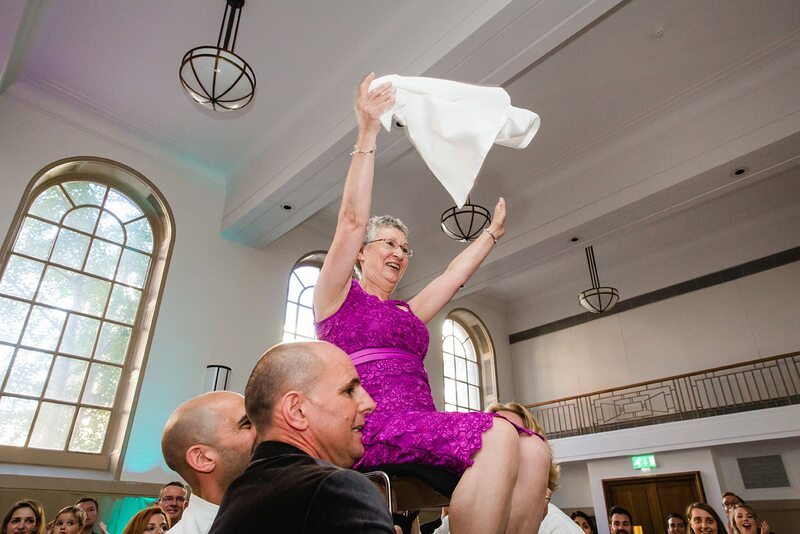 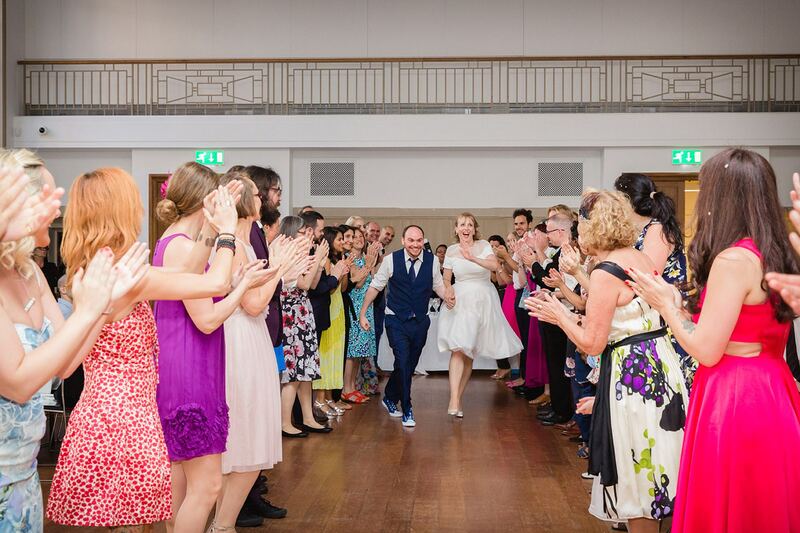 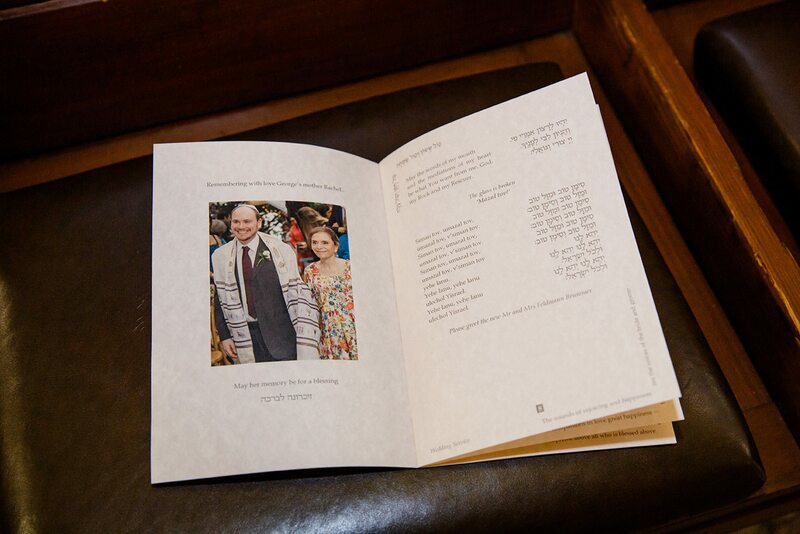 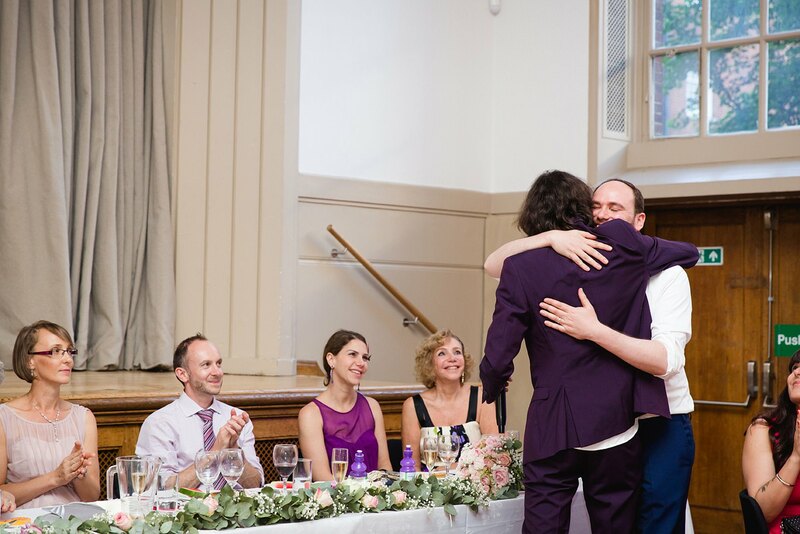 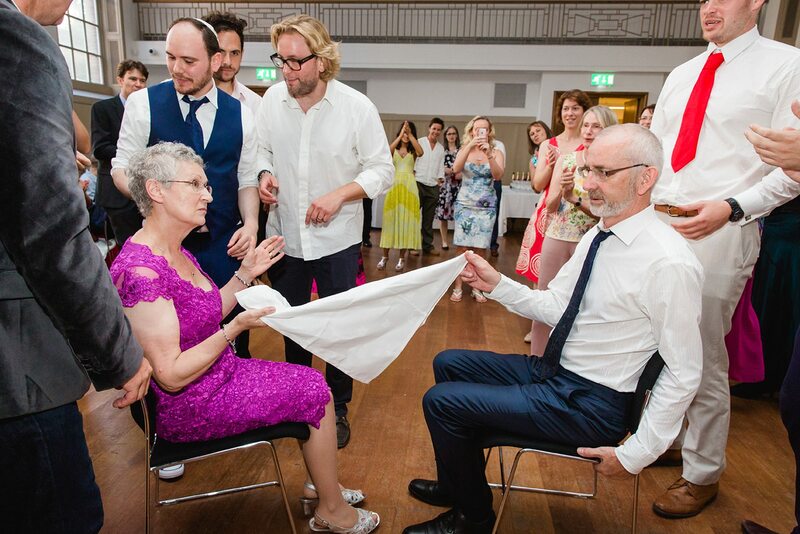 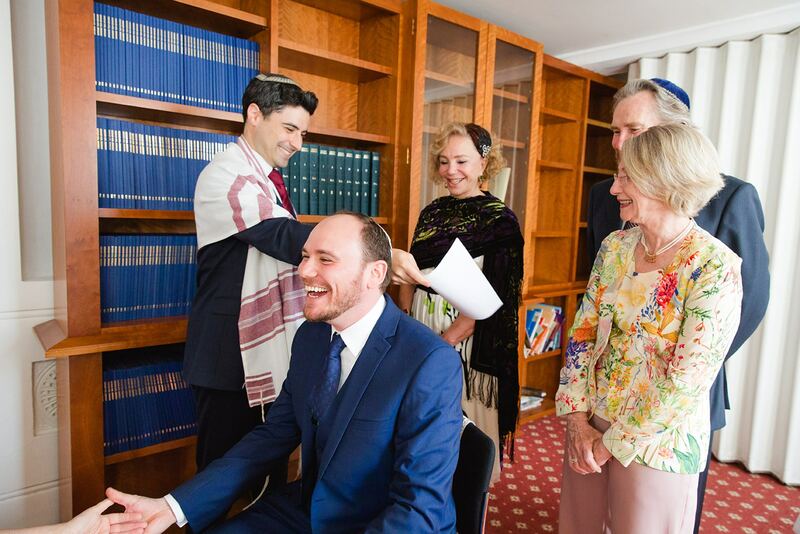 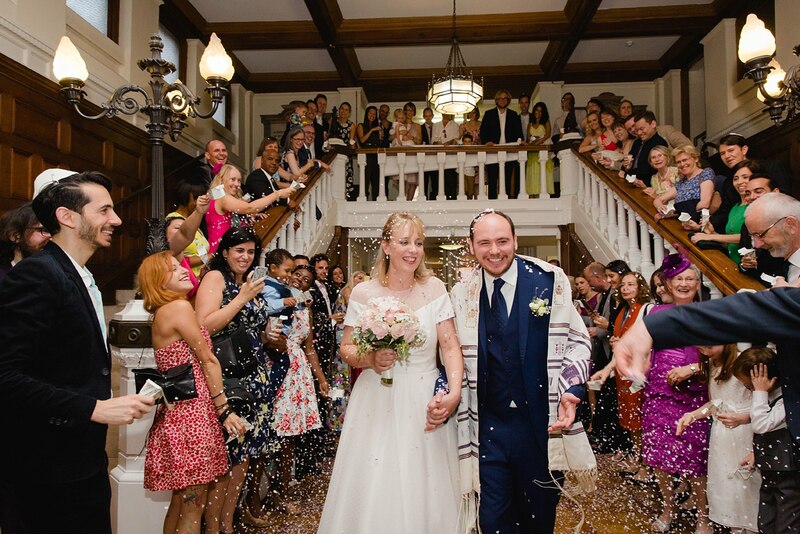 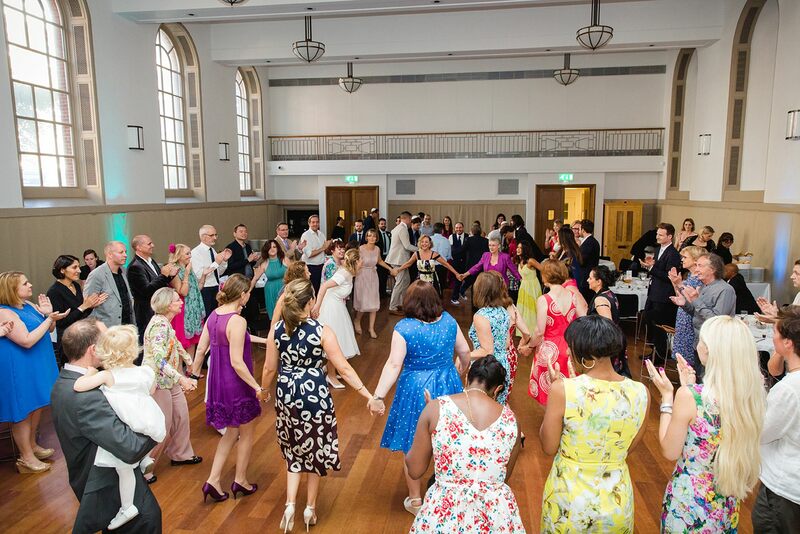 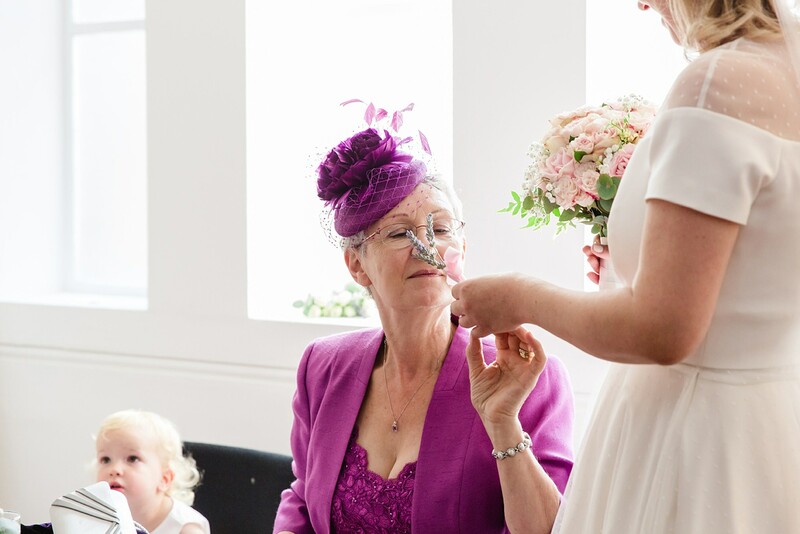 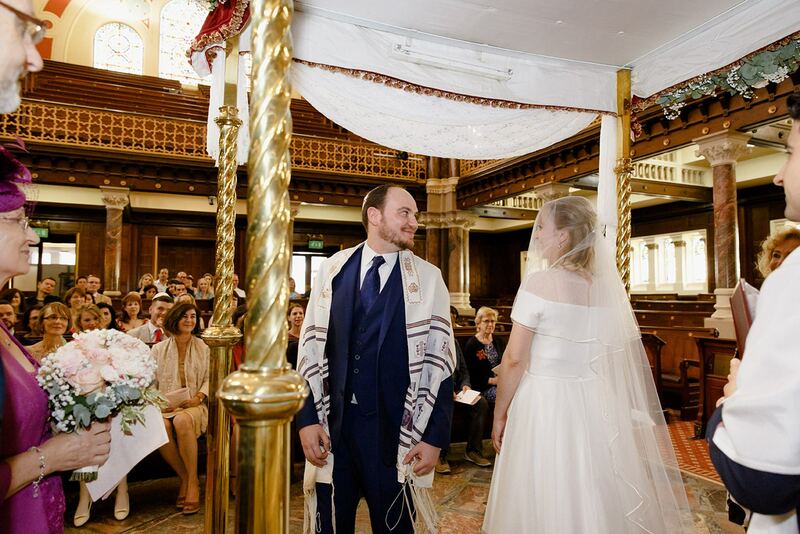 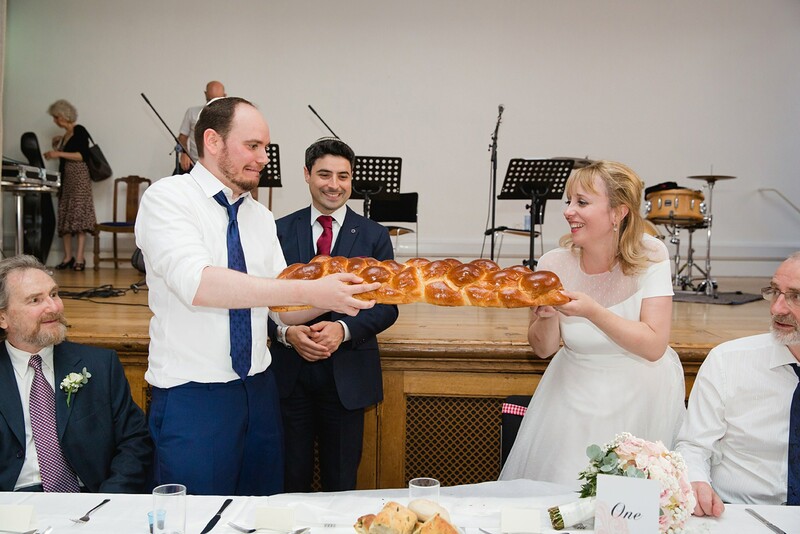 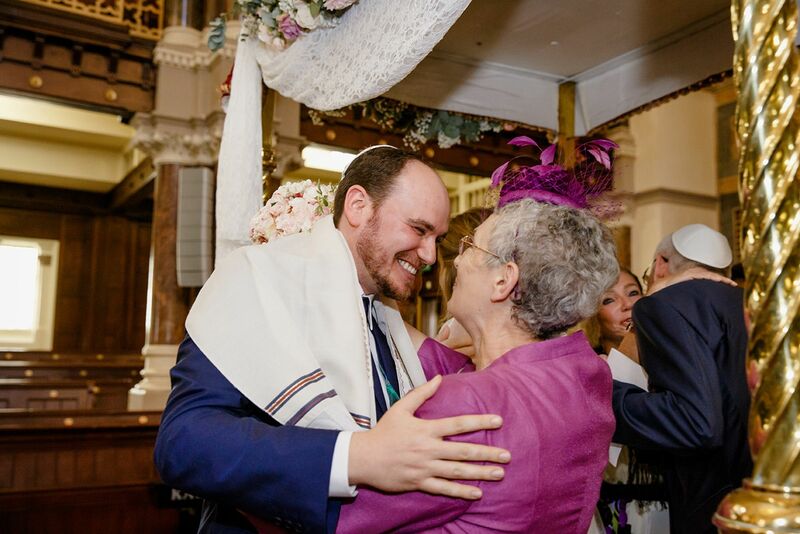 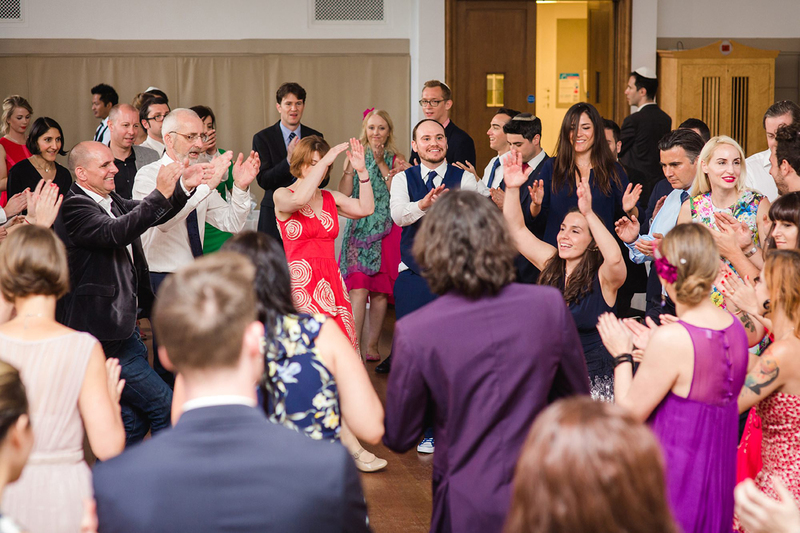 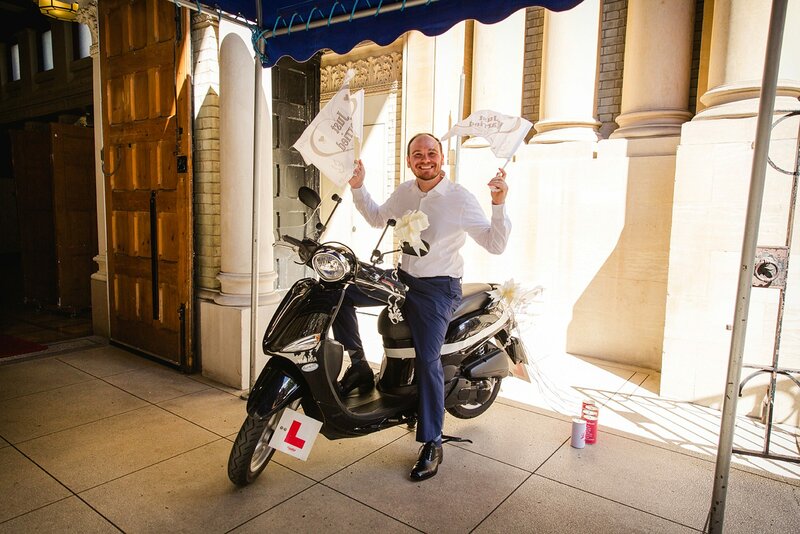 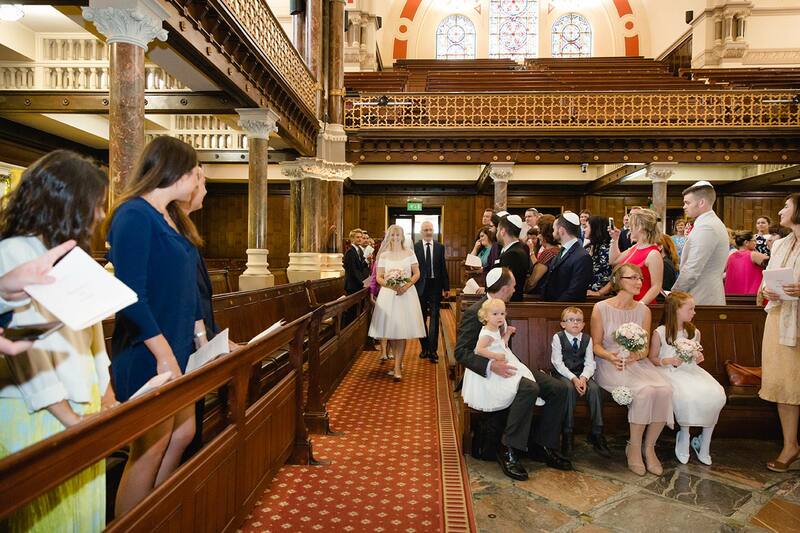 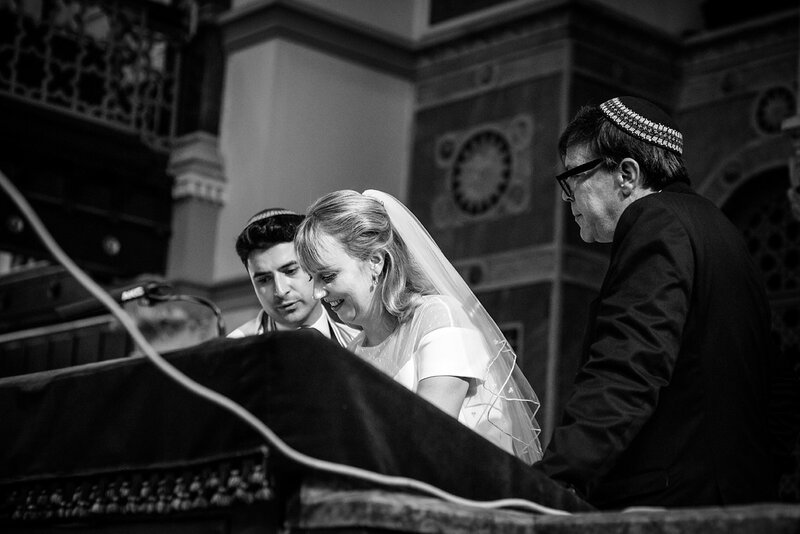 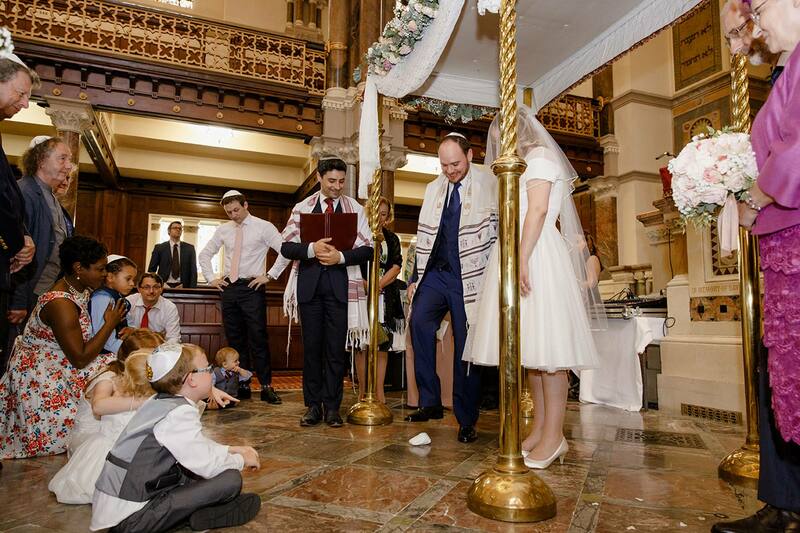 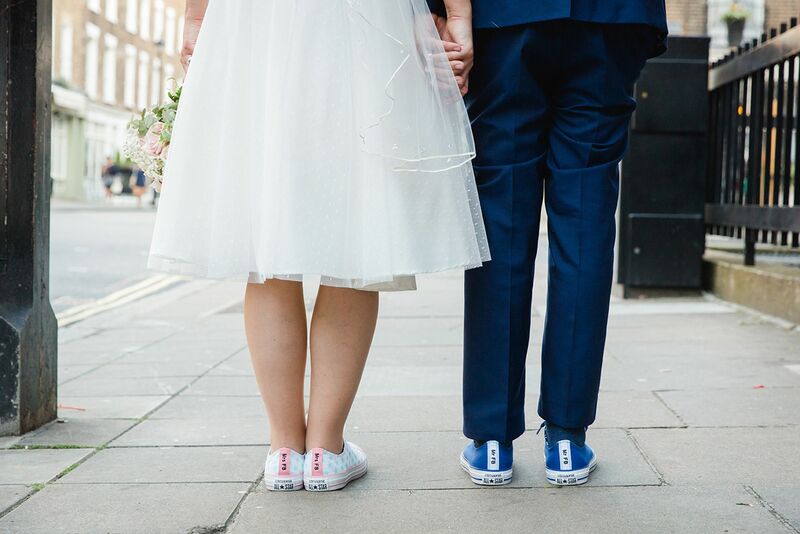 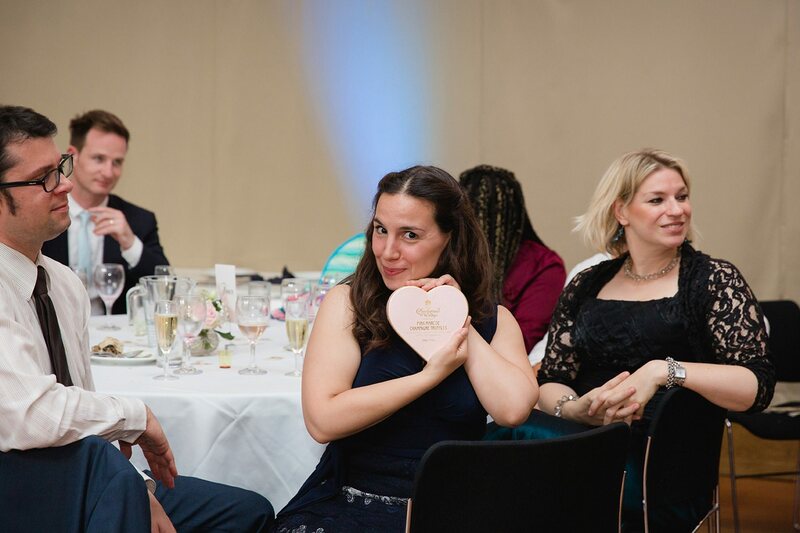 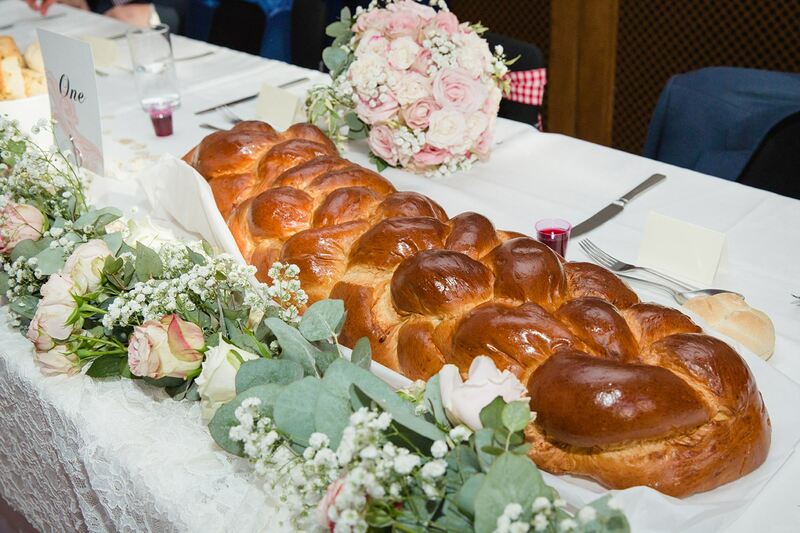 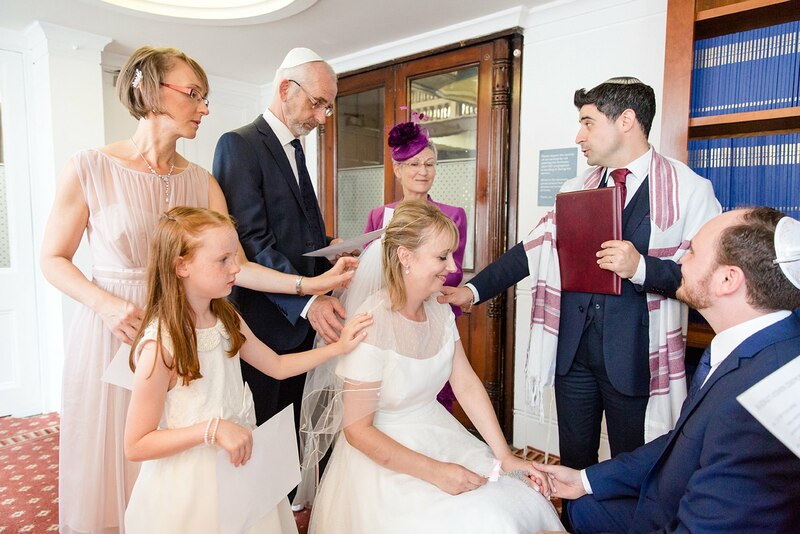 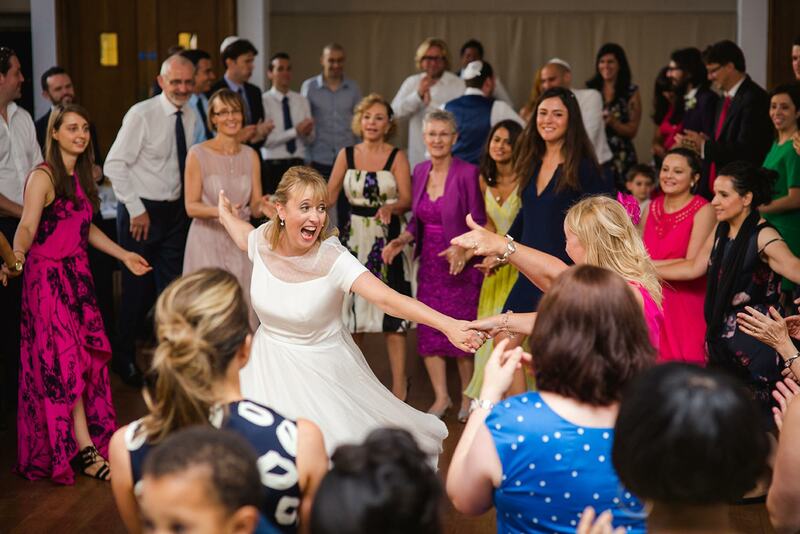 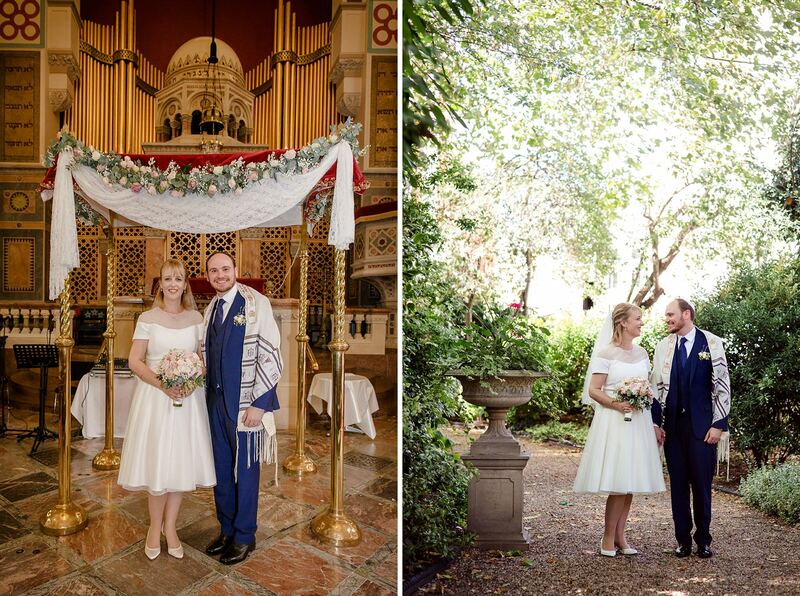 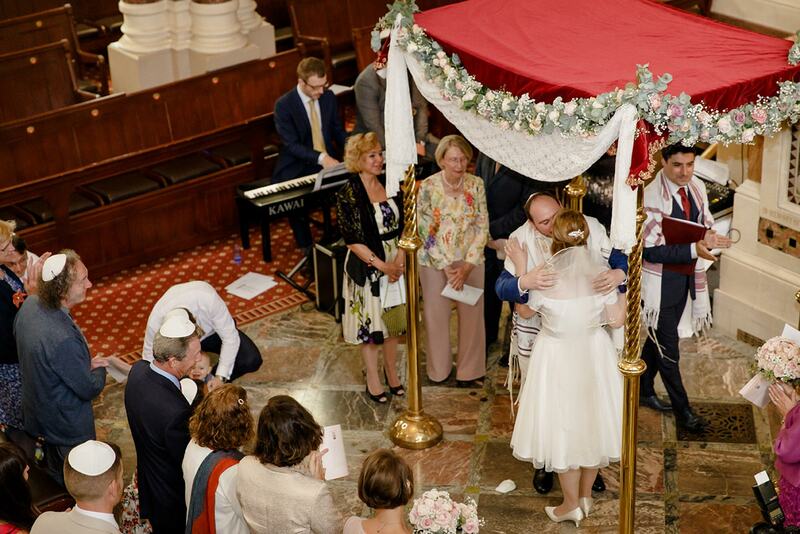 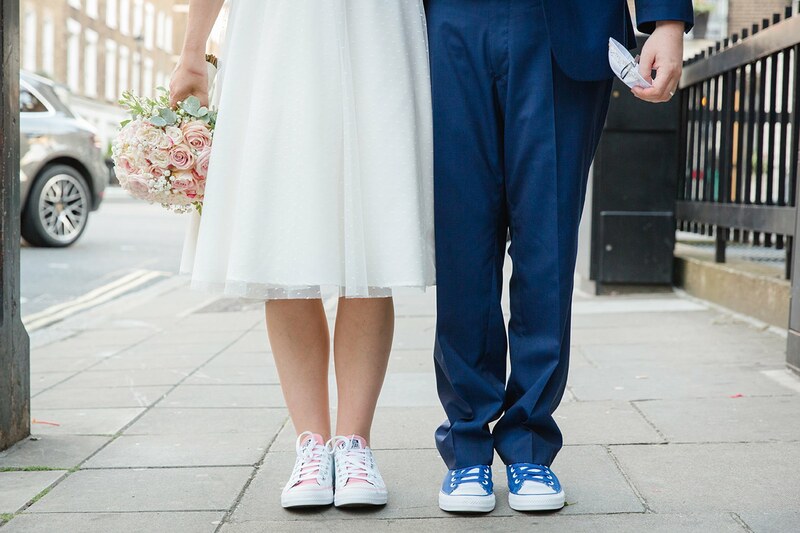 Sara and George’s fun West London Synagogue wedding – my first Jewish wedding! 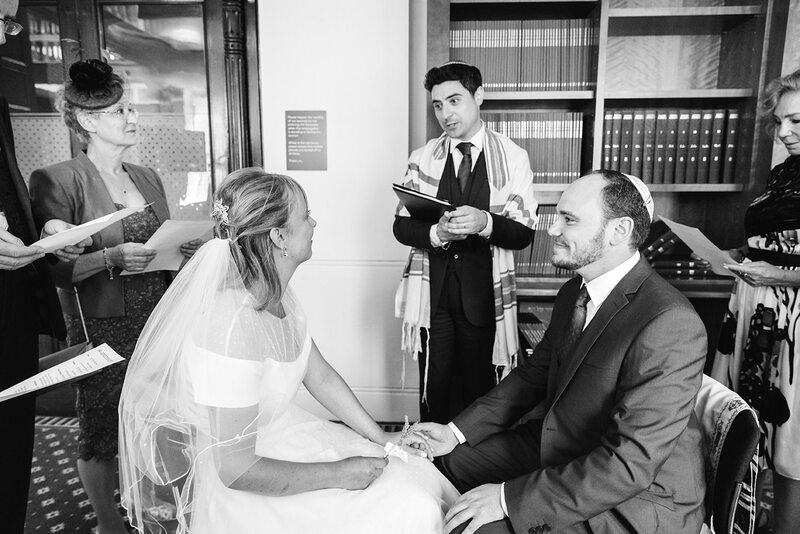 I have to say big thank you to Sara and George for taking the time to explain to me everything that would happen in their wedding ceremony – I really enjoyed the ceremony itself, Rabbi David asked Sara and George to name things they each loved about the other, and it was so nice to hear them talk about these things in front of everyone. 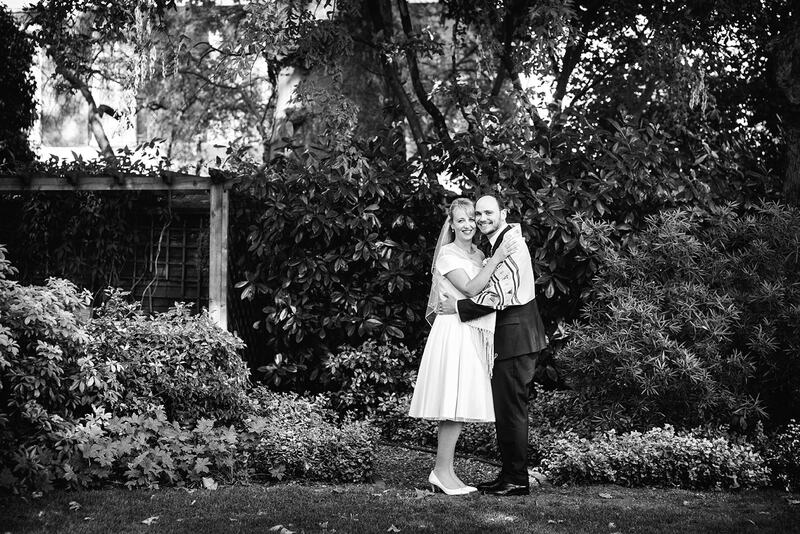 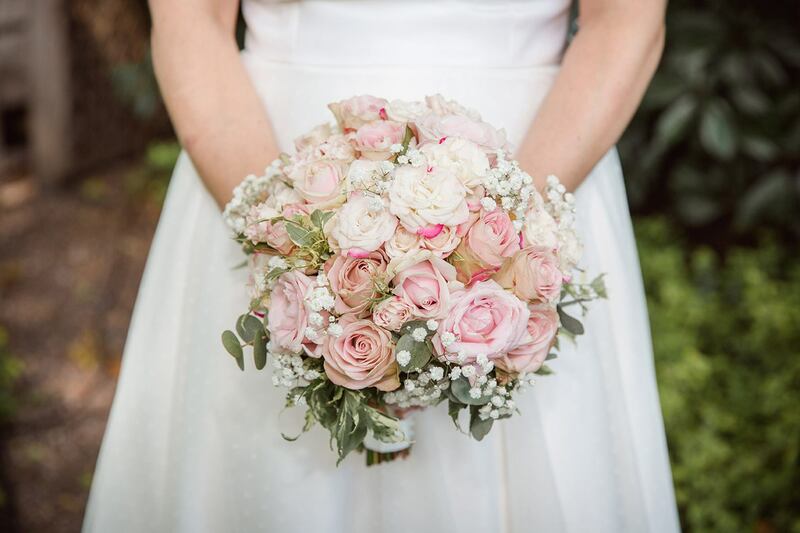 We were incredibly lucky this day because not only did Sara’s friend lend her a key to one of the many inviting yet locked London gardens for their couples session, our taxi driver took us there and back for only a fiver, AND waited while we did some shooting – absolute legend! 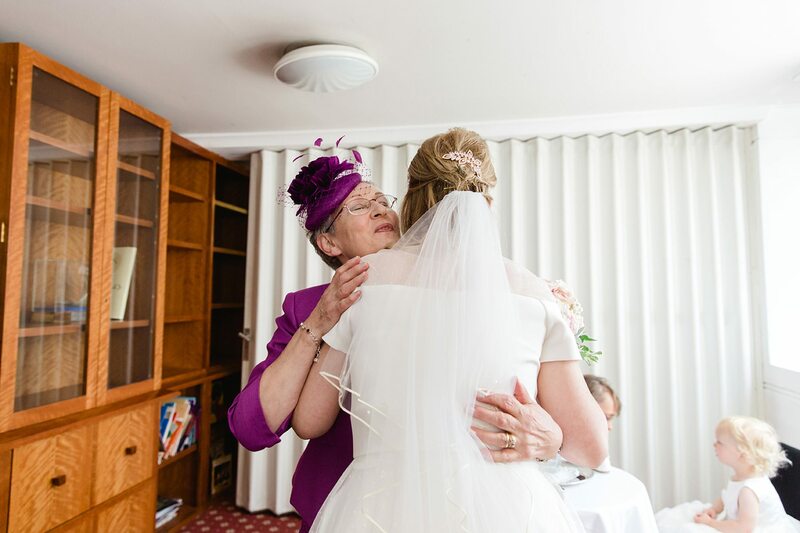 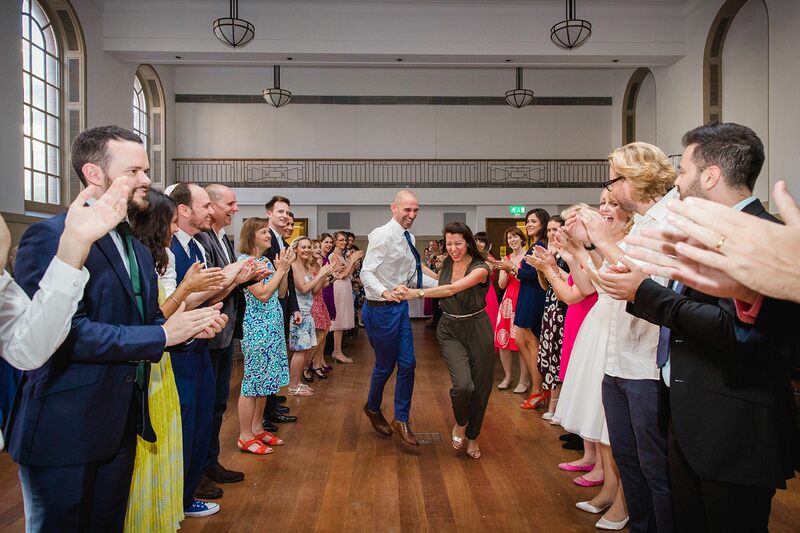 After the couples session we headed right into my favourite bit – dancing! 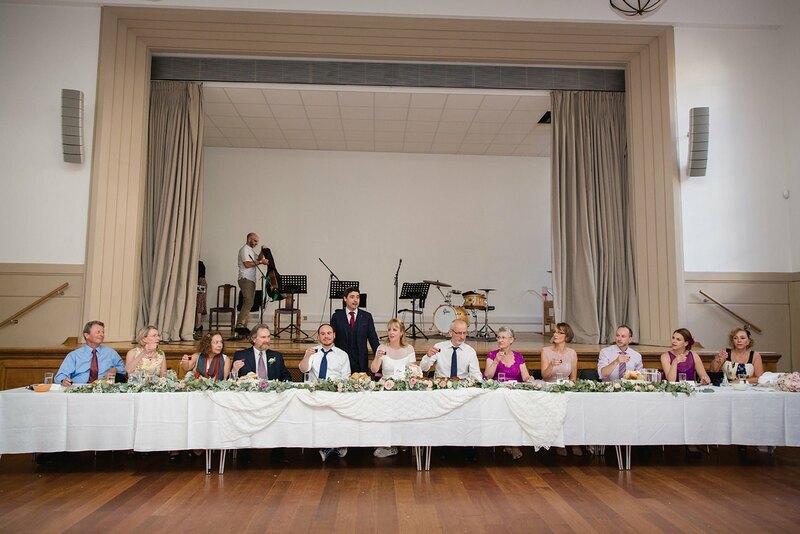 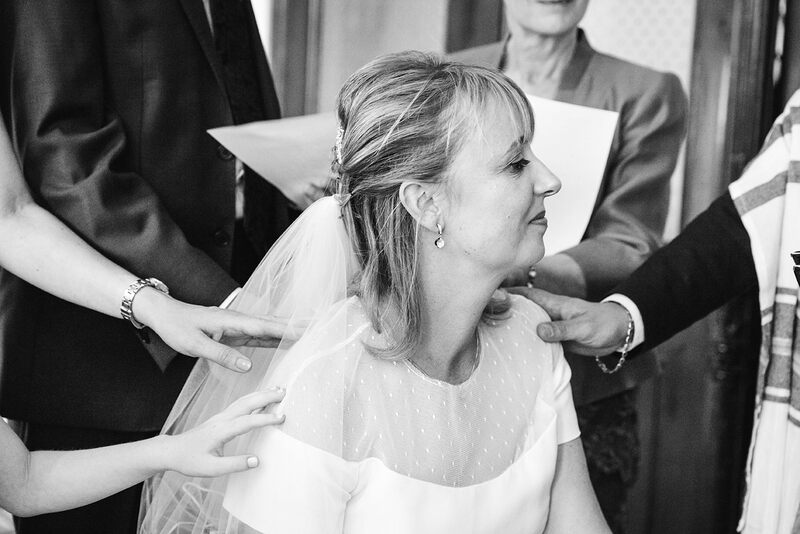 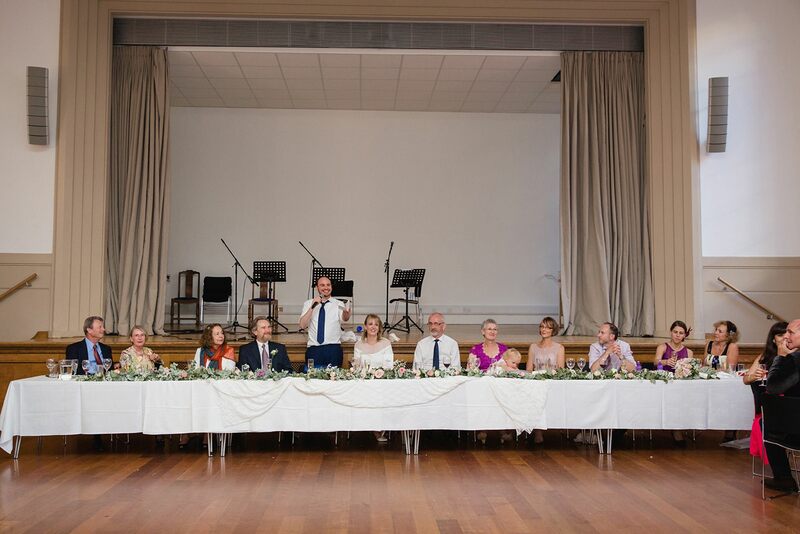 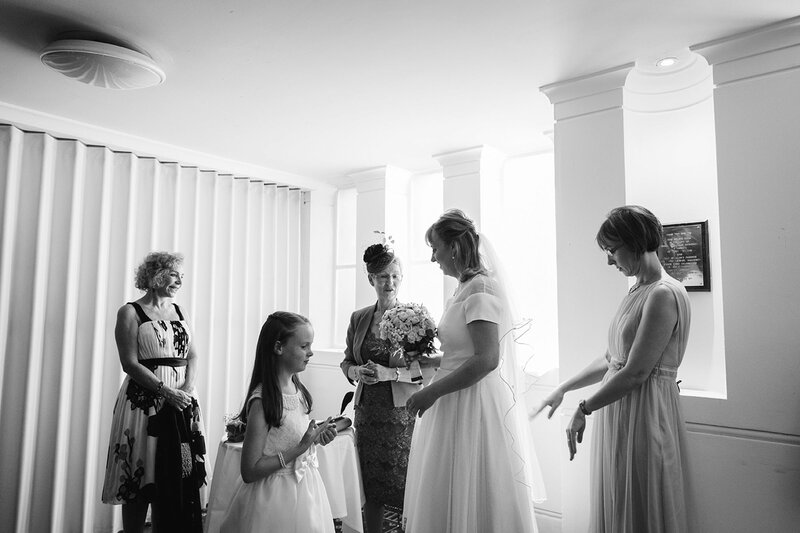 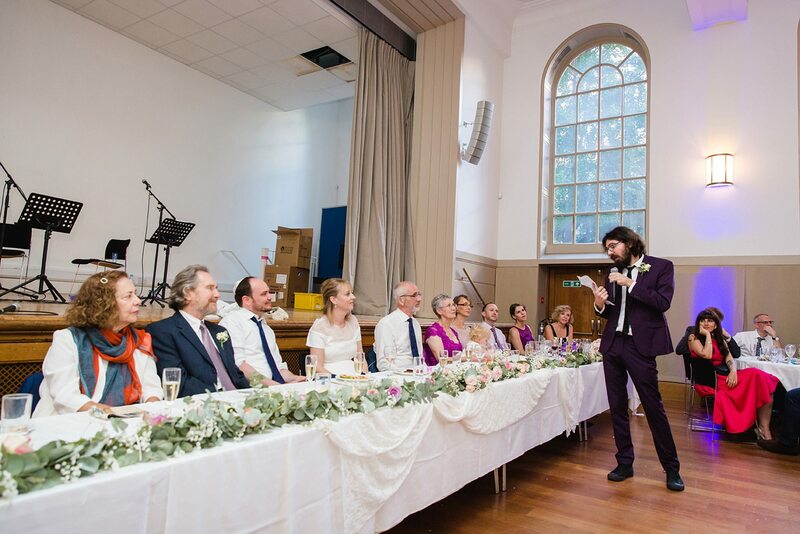 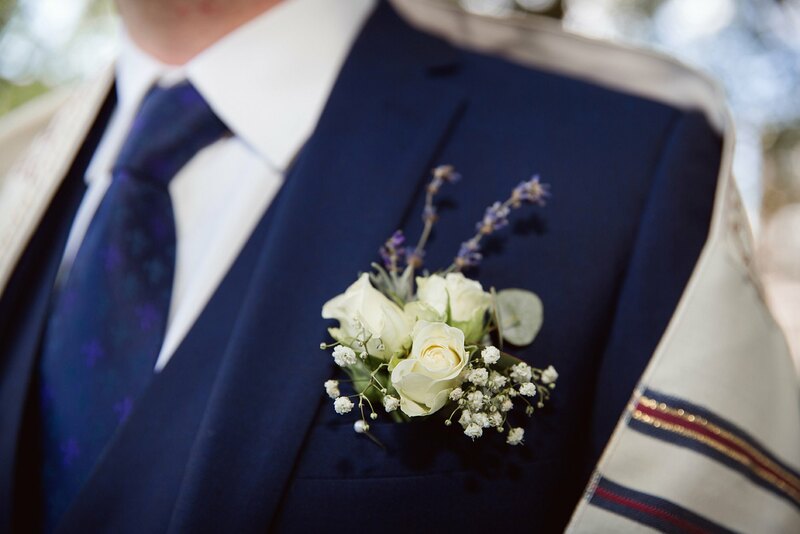 Everyone worked up an appetite whilst I got right in the thick of it all – there’s really no better way to shoot dancing, and it’s always one of my favourite parts of a wedding day. 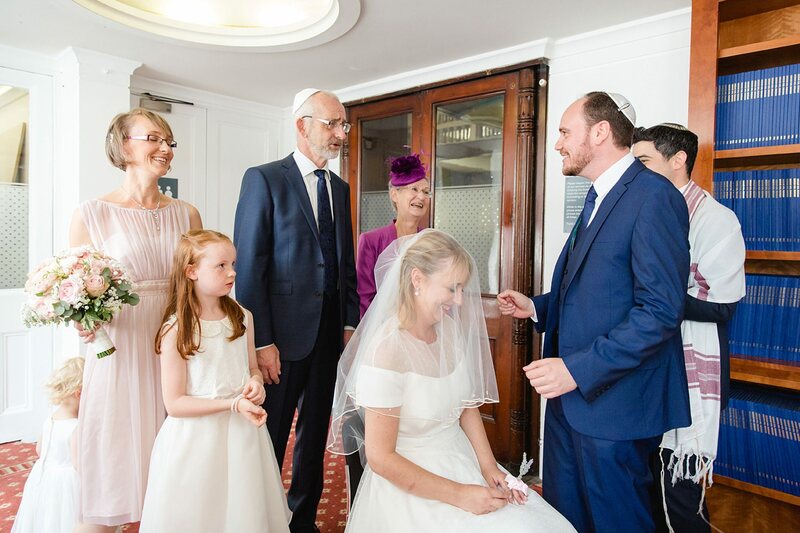 Massive thanks again to Sara and George for giving me my first jewish wedding experience and I hope it’s the first of many more to come. 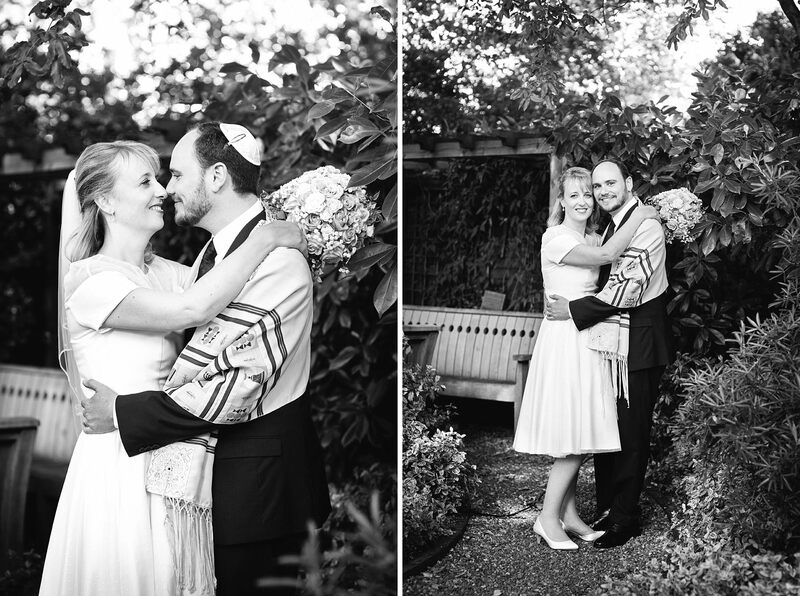 Also a big thank you to Camilla for second shooting with me!